LevelUp. We all know the future is paying with your phone and leaving that silly wallet behind (except we would still carry our purses because we love them so much, obviously). If you too want card-free transactions, imagine having a baby in your arms and a diaper bag on your shoulder: Suddenly you want it 100x more, right? 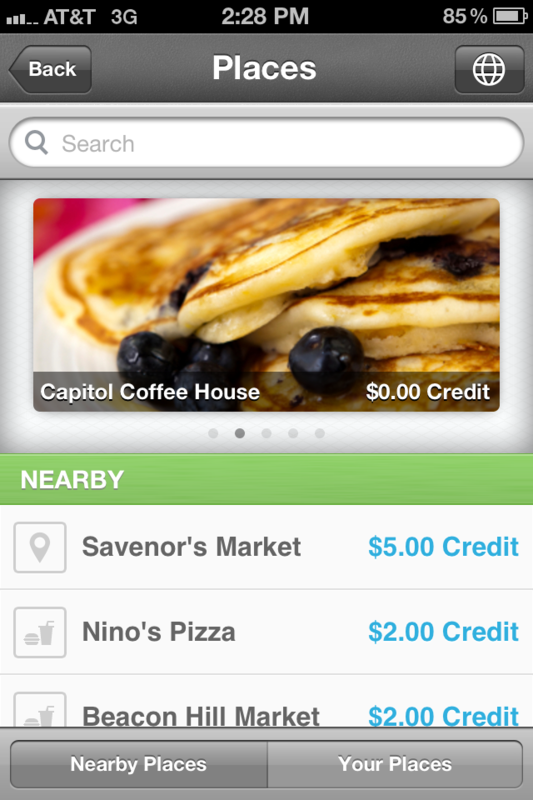 I love that LevelUp is a pay-with-your phone option at most of my favorite spots in Boston, and it is Philly too. Because they give you credit for your first visit to most places, my afternoon macchiato at the lovely cafe down the street from my hotel was free! LevelUp is in Atlanta, Boston, Chicago, Philly, San Diego, Seattle, and lots more cities! It’s a free app, but if you sign up with my code 65582, we both get a $5 credit. bing. Best Parking. Is there a more confusing nightmare than parking garage signage? I think not. Especially if you’re a deal hunter, a street full of garages all offering different rates is terrifying! 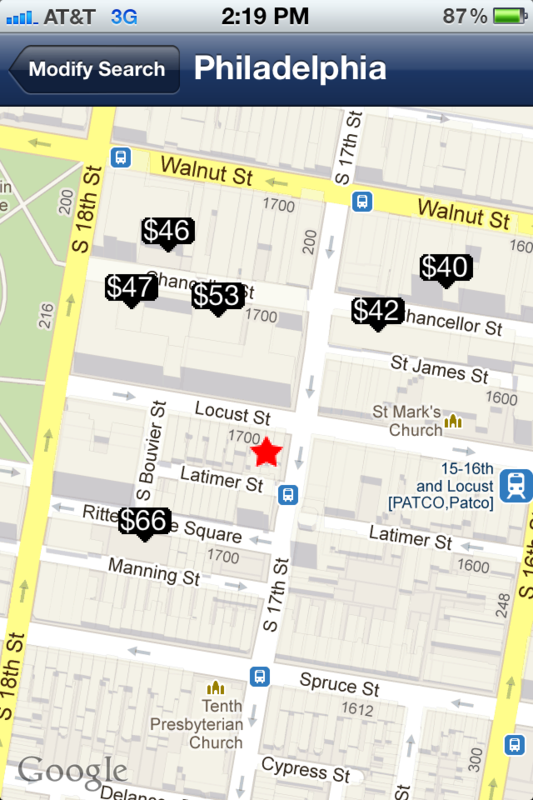 I used Best Parking (which is in loads of cities) to sneak out the best overnight rate near our hotel. It’s intuitively designed (it’s owned by a twenty-three year old! ), and can use either your address or your location to help you find parking. Yelp-the Bookmark List. Don’t worry, I too have thoughts about how much therapy most Yelp users need. Especially when they use a restaurant review as a place to complain about their waiter. But! Yelp on your browser and on your phone make it easy to “bookmark” places you want to go. Then you can pull up the app and see where those places are on a map, and hunt them down. This is super helpful if you’re chatting with someone and they’re like, “oh try this spot! and check in there! and make sure you have oysters over there!” and the names are flying past you and you’re just nodding along, wishing your dictation secretary was around. 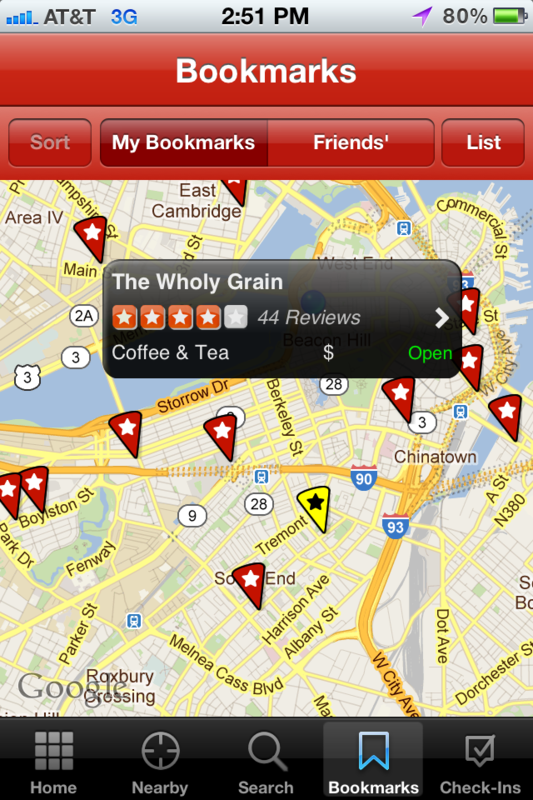 And, not to be a complete nerd here, but the user experience on Yelp is way better than Google maps. For one thing, it searches businesses more quickly and more accurately. For another, the labels on the map are movable, so they don’t obscure whatever you’re trying to look at (hint hint Google Maps!). Venmo. Joe and I took advantage of the grandparents in the city and went out to all sorts of fun drinks spots with friends. But then the bill shows up at the end, and turns out everyone ordered different things: a salad here, a water there, three cocktails over here (who could have ordereed those??). 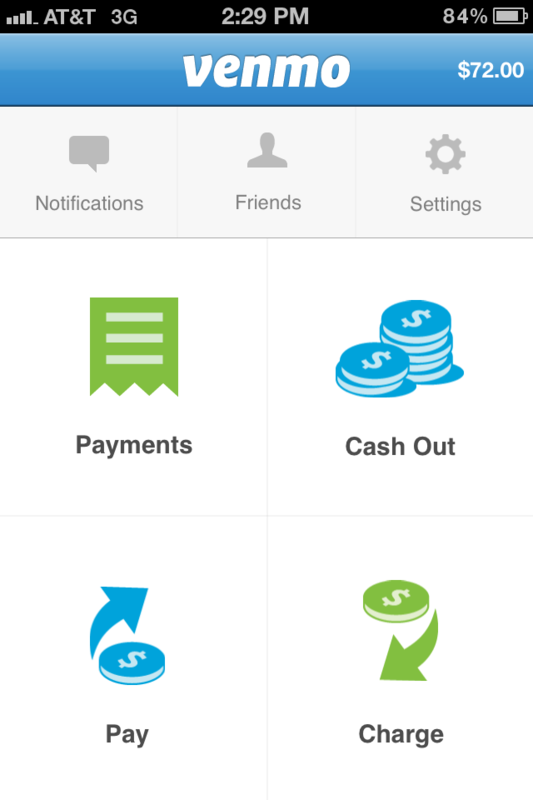 Venmo makes it easy to let one person pay the bill and everyone else pay you back on the spot. Because we know those promises of “oh, I’ll get the next one!” never really work out. What about you? Any apps you’re loving on the go these days?